We make it a priority to be available pet sitting, dog boarding, and doggie daycare during holidays and vacation times when many people travel. Please book as far in advance as possible for busy dates. References are available on request. $25 a day per dog. 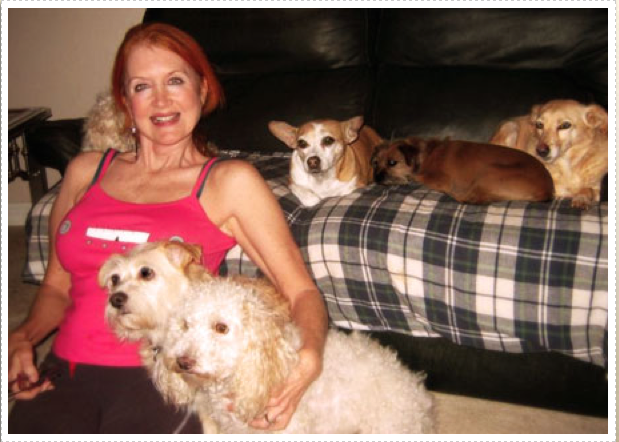 With our multi-dog discount 2 dogs are $40 for daycare. Earliest drop off is 7:00 AM. Last pick up is 7PM unless previous arrangements have been made. $55 a night (up to 24 hours), after 24 hours an additional doggie daycare fee may apply. 2nd dog is $35. Each additional dog after the second one is $25. Check in: As early as 7AM. Check out by 7PM unless previous arrangements have been made. Every doggie must come inside the house before it gets dark outside. ALL fur babies sleep inside our house on sofas, doggie beds, or even in our bed if they insist! No dog (even our own) is ever left alone. One or more of our amazing doggie people is always here if David and I leave the house, which doesn’t happen often. At night the pups love watching TV on the sofas with us! Pickup and Delivery is available at a Minimal Charge. $25 each visit for normal services such as feeding, walking, bringing in mail, etc. Feel free to ask about services that will make your pet happier while you are gone. MInne at the Howl-O-Ween fundraiser parade in Simi Valley. When your furry child reaches the senior years and you have to work, the hospice option is very helpful. 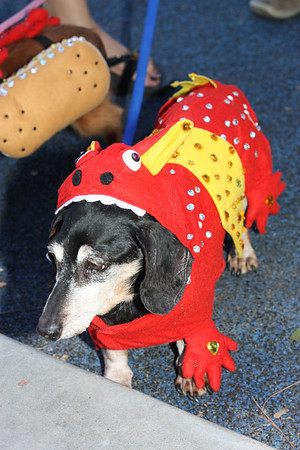 Minnie pictured here in her Howl-O-Ween costume, a hospice guest, enjoyed the fundraiser parade and is proof that senior doggies can still enjoy fun events. Please visit the Hospice page for more details.